We constantly swim through a stream of emotions, whether we notice them or not. I’ve had days when I’m oo-ey-goo-ey loving as I watch a mommy otter swimming on her back while holding her baby on her tummy. Then I listen to a high-tempo song and find myself dancing on a chair: excitement. Then my kid comes running in telling on her little brother’s escapade with the toilet paper. I can feel the red, heavy annoyance rising in me. Then I get a snappy email from a coworker about how what I am asking him to do will cost him an arm and a leg, when really it’s not that big of a thing. Big, fat frustration hits. All of these emotions can occur within minutes of each other. It’s hard when little triggers like these have such big effects on our current state. According to the book Emotional Intelligence 2.0 by Travis Bradberry, two-thirds of us are unable to accurately identify our emotions. What’s worse, many of us let ourselves be controlled by our emotions—our boats are guided by the current. 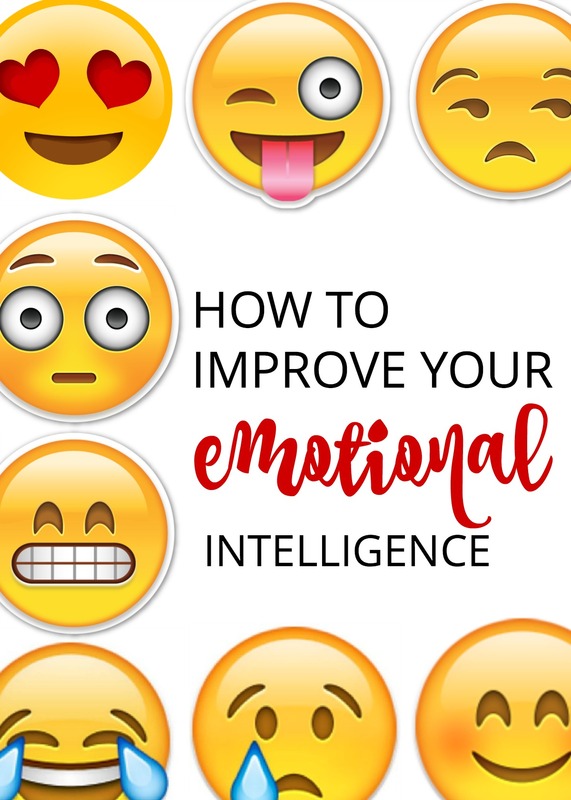 Emotional intelligence is the ability to recognize and understand emotions in ourselves and others and express them in socially appropriate ways. The higher your emotional intelligence, the more effective you can be at work, in relationships, as a parent, and every other arena in your life. Sometimes, that’s all it takes to avoid any conflict caused by heightened emotions. Heard of or seen people being catty to others because of issues completely unrelated to the people they are interacting with? That is what emotional intelligence is about. The self-talk above contains the four parts of an emotional cycle: emotion identification, situation assessment, emotion regulation, and appropriate emotional expression. As you become more aware of each part, you increase your emotional intelligence—and ultimately improve your relationship with yourself and others. How you interpret situations directly affects how you respond to them emotionally. Instead of focusing on “I know I cannot answer every question. Business is my expertise, not programming. People are understanding of getting back to them later with answers,” I could have reminded myself of my lack of knowledge in software development. I could overestimate clients’ expectations of my knowledge base. I could have focused on what my colleagues would think of me if I messed up something. Sometimes, unfortunately, you interpret so quickly, you may not even realize it happened. In these cases, it’s important to take the time to re-evaluate the event. “Huh, I totally took that comment to be a direct poke at me, but he may have meant it a different way.” Instead of making assumptions (“He called me out during the last presentation, I have to be extra watchful of what I say this time,”) adding to the anxiety around the presentation. I’ve shared a mix of responses I’ve played in my head in the past. Think of all your relationships when applying these rules: friends, husband, children, colleagues, superiors, employees, siblings, parents, other parents, etc. DO ask yourself why. “Why is this getting under my skin? Because I care about what she says about me to my boss. Why am I worried about what she says about me to him? What if he believes her? It will affect his perception of me, my confidence, and my skills. Why do I think he will believe her? Because they have been working together for a lot longer. On and on. Be your own emotional investigator. Emotions come with physical symptoms, which could help you identify the emotions you’re feeling. Find a place to sit in quiet and mentally scan your body. Pinpoint what you are feeling physically, and use those symptoms to narrow down to specific emotions. Remember, we often feel multiple emotions at once. Don’t be surprised to find contradicting emotions. Here are some emotional combinations I’ve felt before: envious and happy, relieved and proud, ashamed and angry, disgusted and compassionate, etc. Question and journal about why you think you feel these emotions. If you feel comfortable enough with someone (such as a therapist, spouse or friend), use them to bounce back ideas and theories. Leland Beaumont’s charts below help show where emotions stand. Although the position of emotions may vary person to person, this chart gives you an idea of what you’re dealing with. Identifying these feelings help you better evaluate your responses to them. EmotionalCompetency.com © Leland R. Beaumont. The more difficult part of emotional intelligence is rising above your spontaneous emotional responses. The ability to monitor and modify or delay responses in the midst of emotional chaos is what sets emotionally intelligent people apart. It also leads to more effective communication and better outcomes. Visualize yourself in a positive experience. When emotions are intense and need more than soothing, the better strategy is to pull away and shift your attention to things that are interesting to you. Just as you have choices about how to interpret an event, you also have options about how to express those feelings you experience. What are my options for expressing my feelings? What are the consequences of each option for me? What are the consequences of each option for others? What result am I hoping for? I feel——(angry, sad, frustrated), when you——-(behavior: like put me down) because—–( reason: it hurts my feelings). I would appreciate it if you —-( treat me with respect). I often use this with my husband and kids. It has saved me lots of misunderstandings and ill feelings with my husband, because it sheds light on where misunderstandings/assumptions occurred. I also make sure to express my emotion and why I think I am feeling it to my kids, because I remember as a child being so confused as to why my mom was behaving the way she was. When I react to my emotion, I look into my kids’ eyes and see that same confusion in their eyes. And expressing what I am going through (and why) helps them understand the situation better. Don’t fall into the trap of allowing automatic responses to your constant stream of emotions. Take time to understand your feelings. And take appropriate steps to manage them. With higher levels of emotional intelligence, you will improve your relationship with others, and most importantly, yourself.